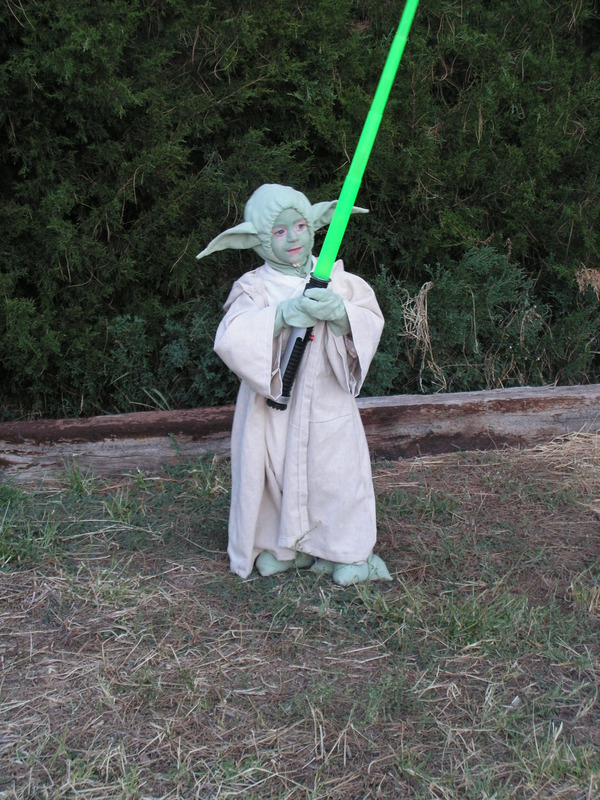 This year Ezra decided we were going to go as Star Wars characters. 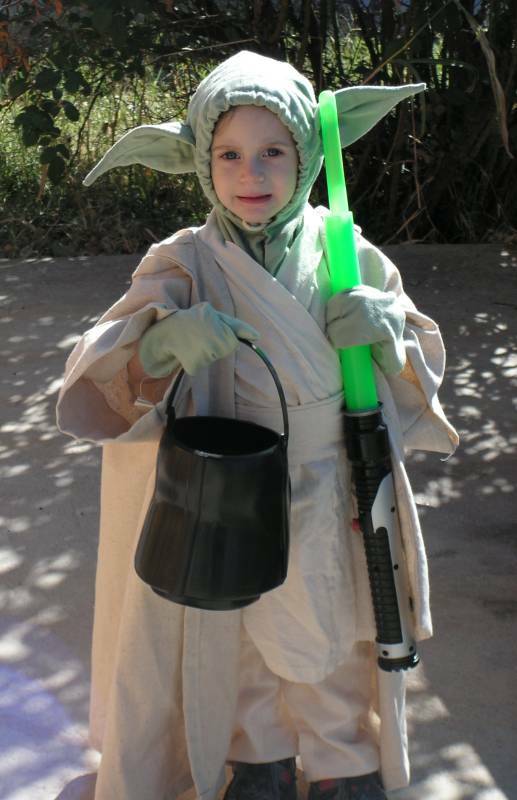 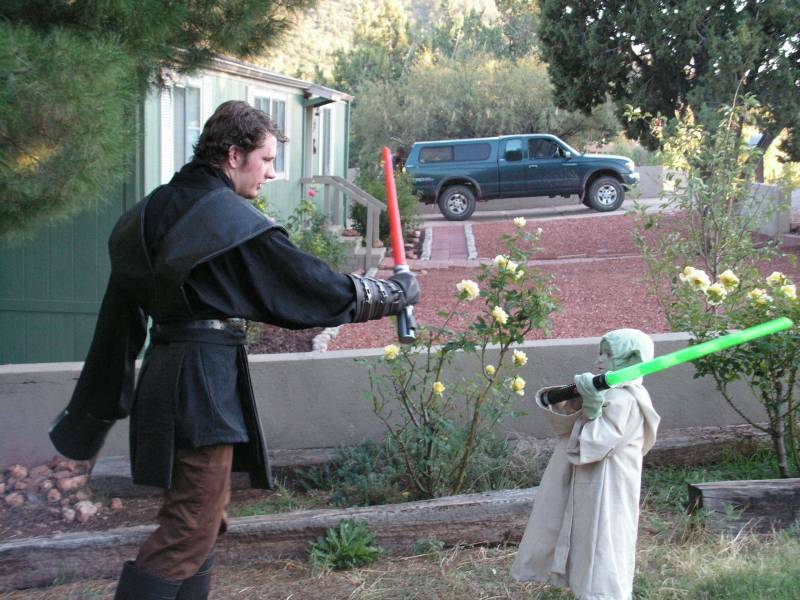 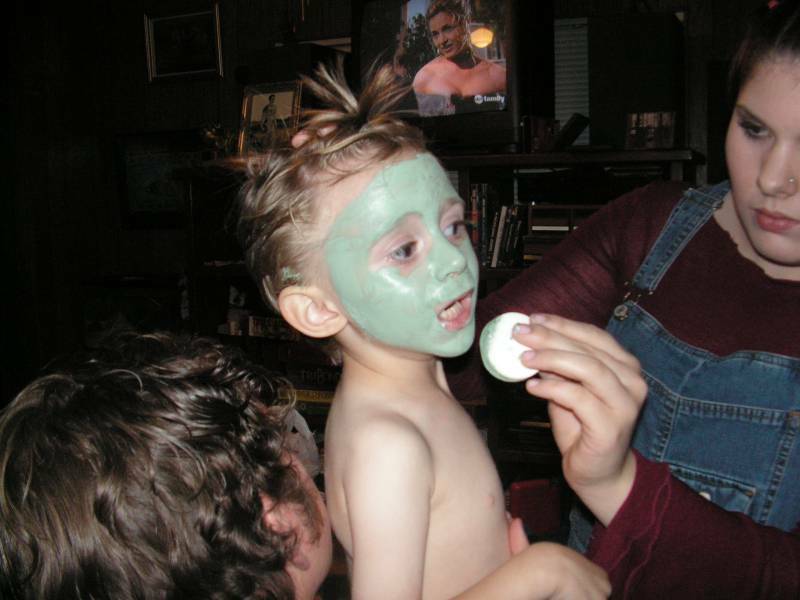 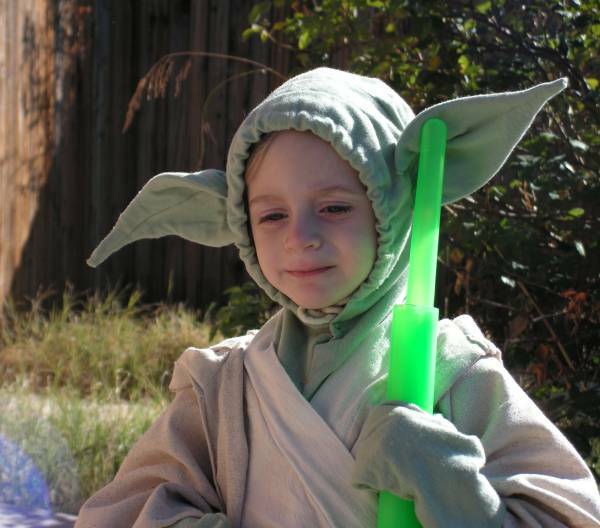 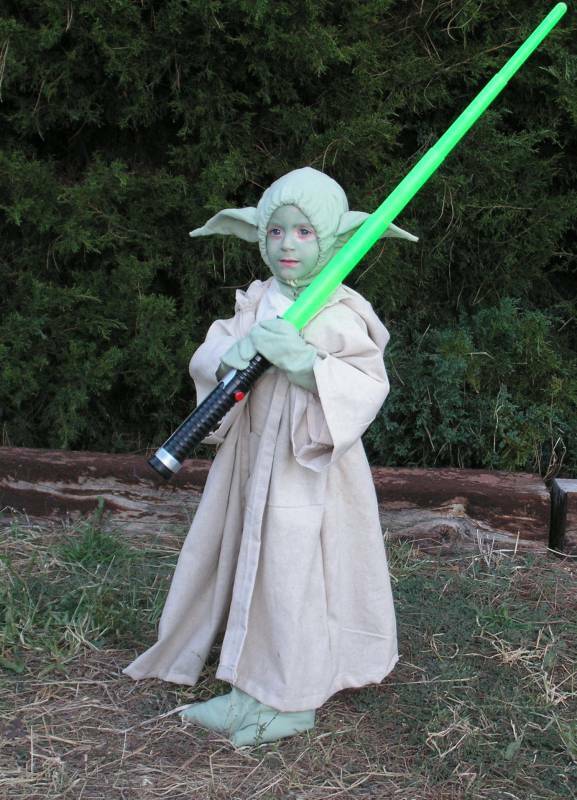 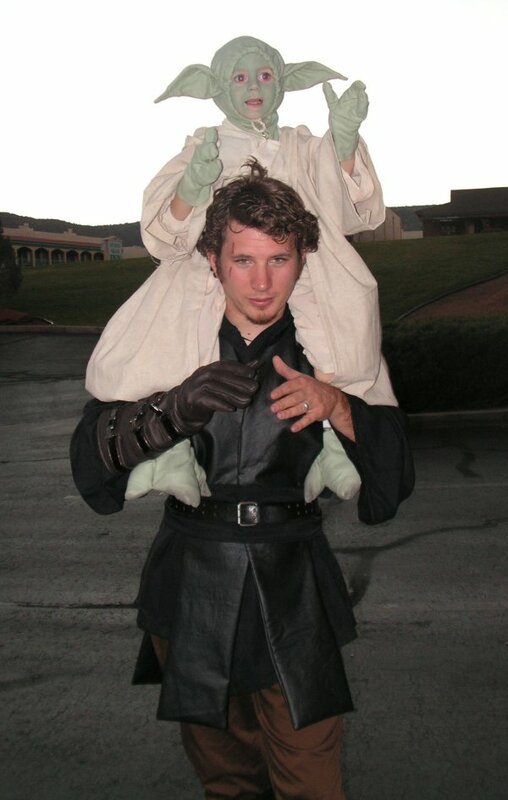 He really wanted to be Yoda, and since Amber is pregnant, she and Sebastian would be Padme and Luke and Leia (he did a good job of playing twins). 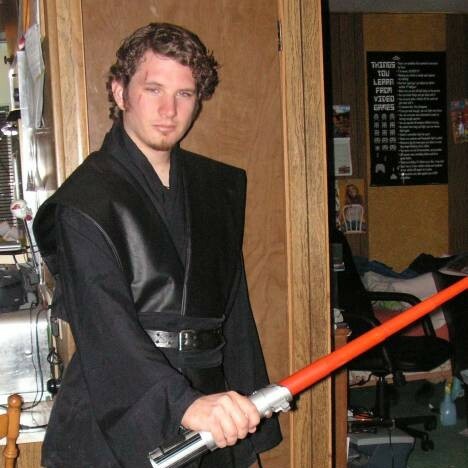 That left Anakin for me. 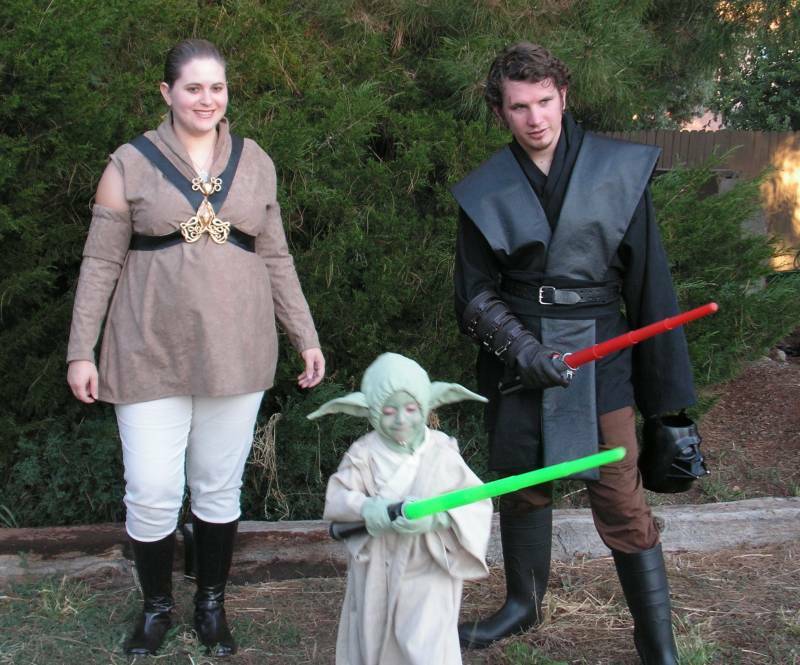 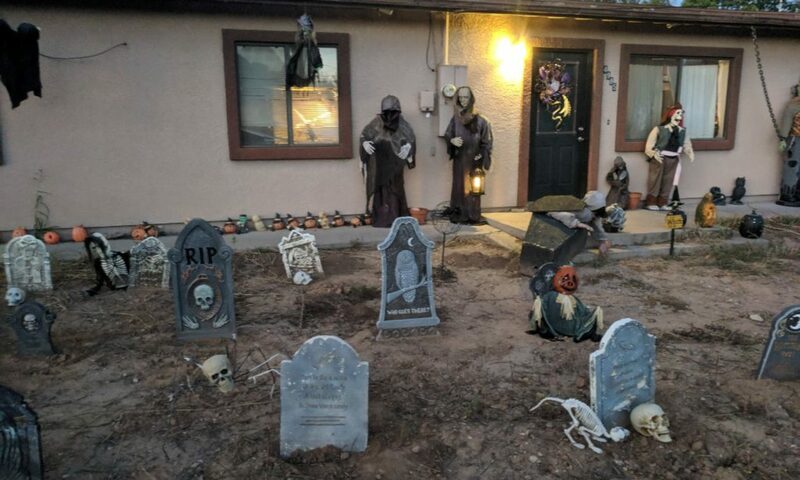 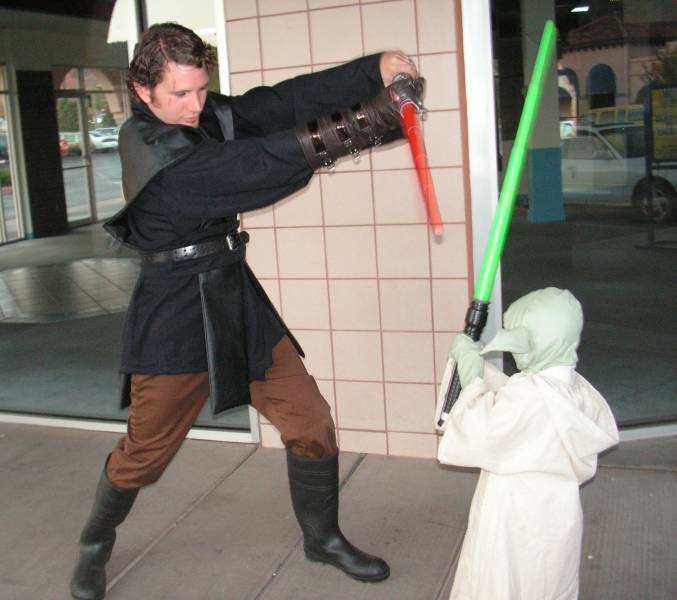 I sewed all of the costumes myself (except for the pants, it was easier to just find pants that were the right color) I used a pattern for my Anakin tabbards and tunic, but just made up patterns for Yoda’s head, 3 fingered gloves, 3 toed feet and Padme’s tunic. 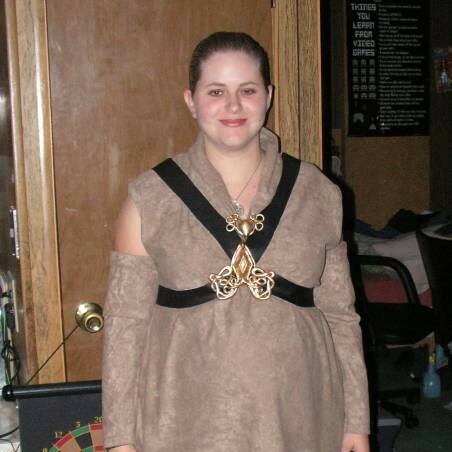 I also made the jewely for padme’s neck line and belts.